Liberty University appears in our ranking of The Top 15 Best Affordable Online Master’s in Accounting Degree Programs. Liberty University offers a number of finance and accounting programs that can help students start off on the right foot as they work in positions in Washington DC and other major cities. Some students will enroll in its online accounting certificate program for undergrads, which features 21 credits and has a format that allows students to earn their certificates in a single year. Students can start at the beginning of any semester, and they will take eight-week classes. The university does not accept any transfer credits in its certificate programs. An associate in accounting is also available, which helps students develop a basic understanding of accounting and finance subjects. This program takes two years to finish and features 60 credit hours, though Liberty will accept up to 45 credits earned from a reputable school. Both the associate and the bachelor programs are available online. Its bachelor’s program actually ranks as one of the best online accounting options for undergrads today. This program includes both finance and accounting courses, including Business Policy, Principles of Marketing and Financial Accounting. 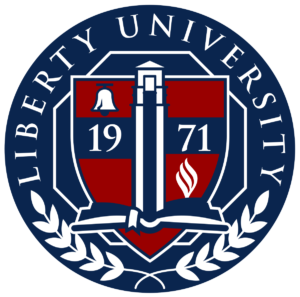 Liberty University offers three graduate programs for finance and accounting majors too. Its Master’s in Accounting allows students to meet some of the CPA requirements as they study online. While the university offers this as a general program, students can also select from specialized accounting topics such as forensic accounting, taxation, leadership, business, financial services or audit and financial reporting. Each of these concentrations includes courses based on that subject. Its Master of Science in Finance is also an online program with specialized areas that students can pick from, including financial management, financial planning, and general studies. Students will take some of the same general courses in all programs such as Biblical Financial Planning and Money and Capital Markets. There is also a Master of Business Administration (MBA) in Finance available online from Liberty University. This program includes full-time classes and runs for two years. Liberty University ranks as one of the top Christian colleges in the United States. Also called Liberty and LU, it is also one of the largest Christian schools in the entire world. Established in 1971, it was the brainchild of Jerry Falwell. Falwell was so proud of the university, which was first called Lynchburg Baptist College, that he even remained on-site to serve as its president. His own son took over the campus after Falwell later passed away. Also called Liberty Baptist College in its later years, it gained university status and changed its name to just Liberty University. The university still has a strong affiliation with the Christian Church, which is clear in its Liberty Way. This is a strict code that outlines the way students can act and what they can and cannot do on the campus and off. The Jerry Falwell Library is just one of the libraries on its campus in Lynchburg, Virginia. This campus is also home to the Integrated Learning Resource Center that offers help and support for students in the form of audio and video labs and tutors. Liberty now offers nearly 300 online degree programs for its students and more than 360 programs for traditional students. More than 100,000 students now take online classes each year, which gives the university an enrollment of more than 115,000 students. Students should not have any problems with getting and applying for financial aid at Liberty University because it has regional accreditation from the Southern Association of Colleges and Schools (SACS). SACS accreditation also entitles the university to award degrees to its students and to accept any of their transfer credits that come from schools with regional accreditation. Finance and accounting majors will find that their programs have accreditation from the Accreditation Council for Business Schools and Programs (ACBSP) too. The application requirements that students must meet will vary based on whether they are undergrads or graduate students. Undergrads applying to the accounting certificate program must have a GPA of 2.0 or higher in any college classes they took or attempted. They will fill out and submit a form that shows what they did and accomplished in high school, their transcripts and the online application. This application has a fee too. The university has the same requirements for its associate and bachelor programs. Students who have a lower GPA receive cautionary acceptance to the university. Liberty University does not charge a fee to submit its graduate application, but it will add a $50 fee to the costs that students pay later. It waives this fee for military students, their spouses, and veterans. Those applying to a graduate program should use the Liberty application and submit their transcripts. The university requires a final/official transcript within 60 days of the student receiving his or her acceptance letter. MBA students must submit transcripts that show they took at least 15 credits of undergrad business courses. If students took fewer business classes, they will need to take more of those courses as prerequisites through Liberty University. Liberty University charges both residential tuition rate for traditional students and a separate rate for online students. Undergrads enrolled in a residential program pay $23,800 every year for tuition and around $8,400 a year for room and board. The flat rate that graduate students pay is $545 per credit hour. Most finance and accounting majors take online courses, which can help them save some money. Full-time undergrads pay $390 per credit hour, while part-time undergrads pay $455 per credit hour. The university also charges $565 per credit hour for full-time graduate students and $615 per credit hour for part-time graduate students. The university will not award students any type of financial aid until it receives an official copy of the student’s FAFSA. Government aid can include the federal work-study program that allows undergrads to work in different jobs on the university’s Virginia campus and standard grants and loans. Graduate students can also receive funding from the university. Online students can save money on textbooks because they get all their books for free online. The university offers book grants that cover the cost of textbooks for other students. Liberty University also offers more than 50 scholarships for students majoring in finance and accounting.